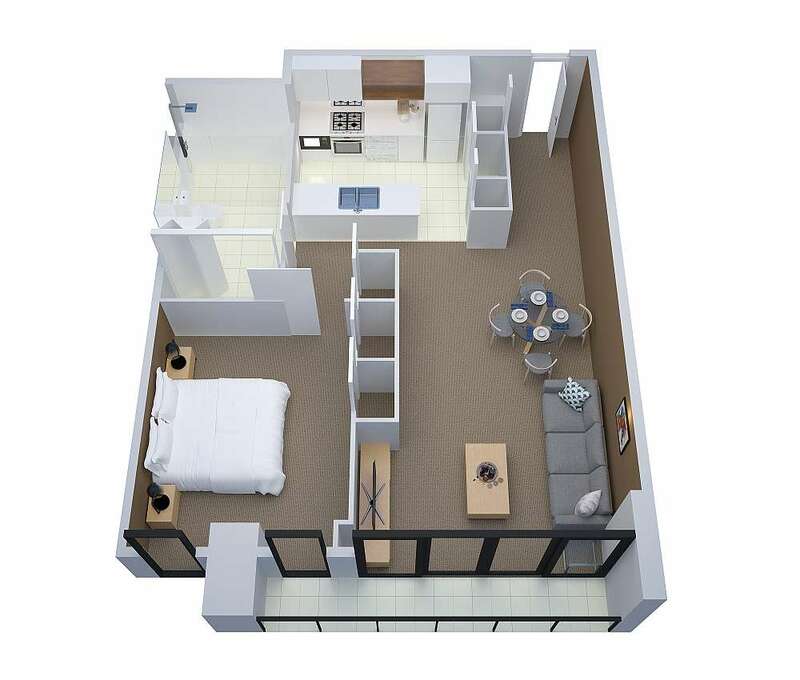 The spacious 51sqm one-bedroom apartment comes with lounge and dining area, bathroom with a shower over bath and a full kitchen with dishwasher. 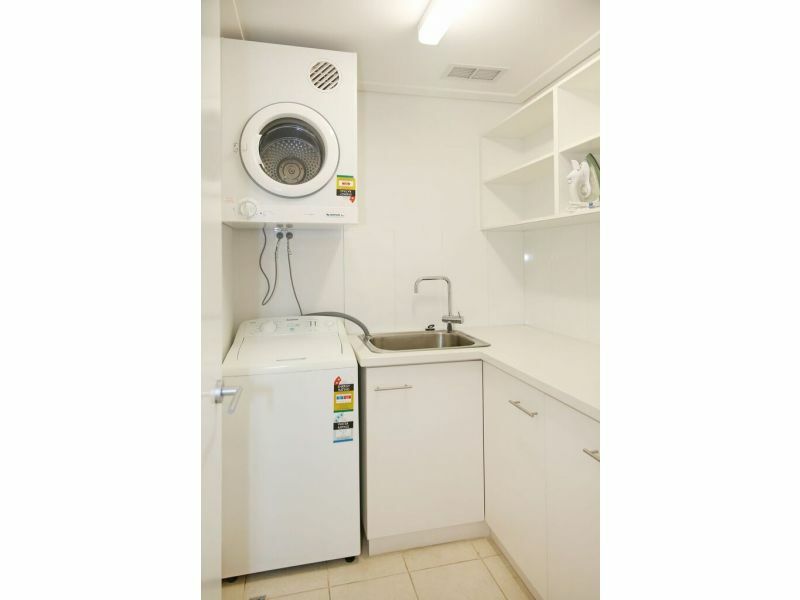 Other features include a balcony or courtyard, a washer/ dryer machine, free parking for 1 car and free WiFi. 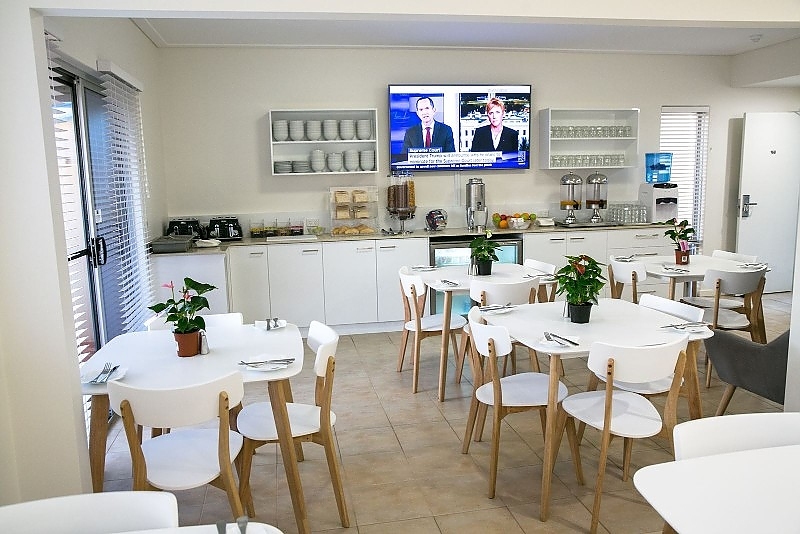 Continental breakfast is available at the Waldorf Lounge for $10 per person. 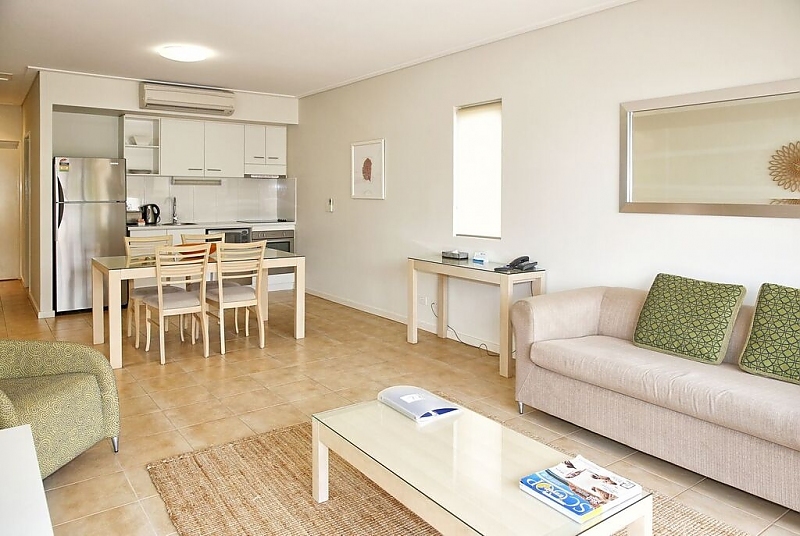 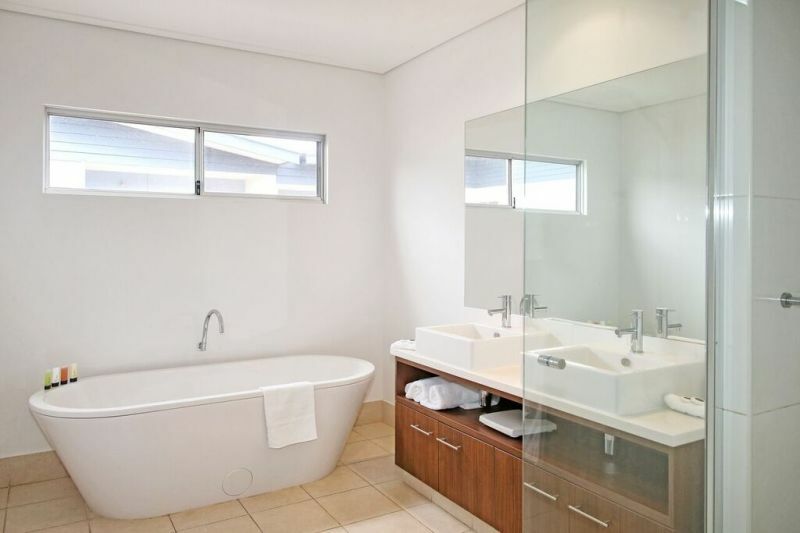 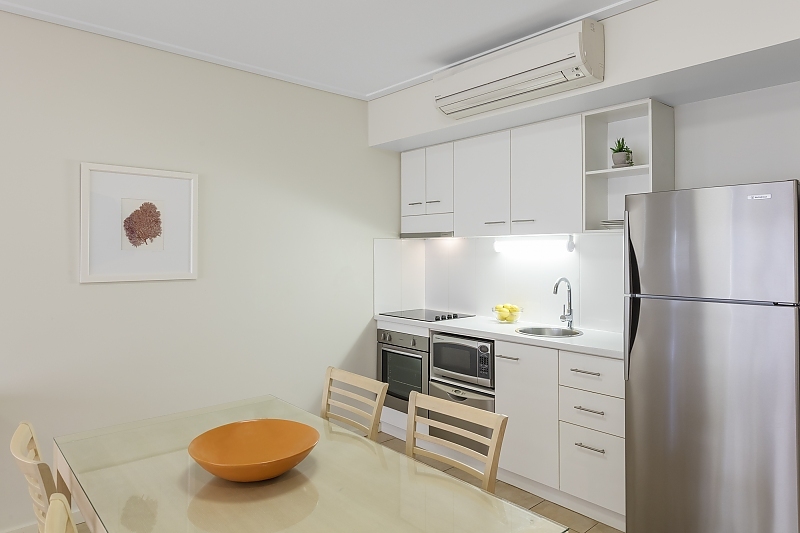 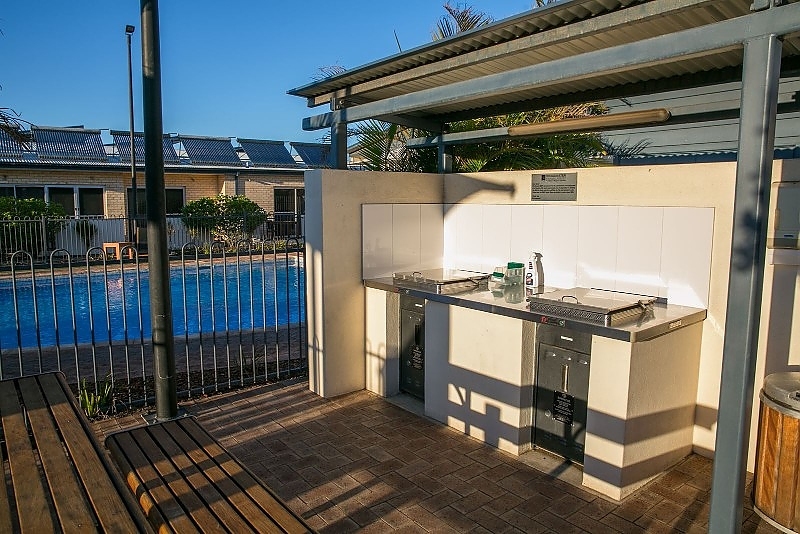 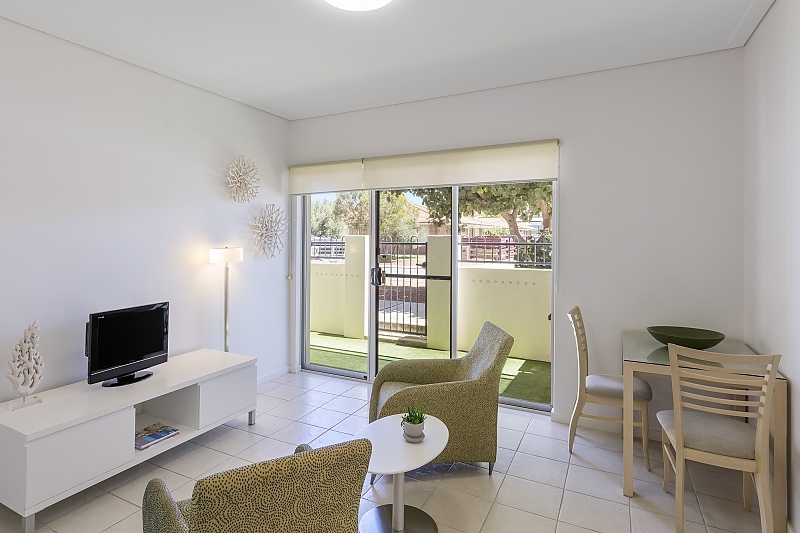 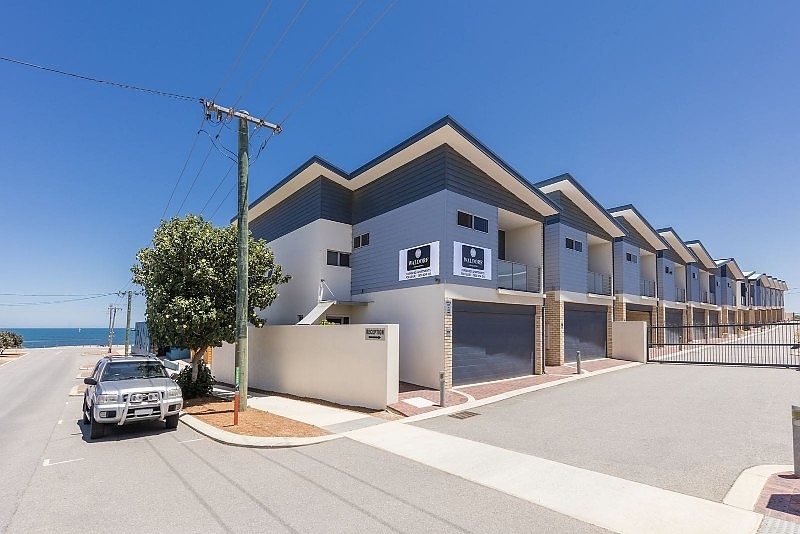 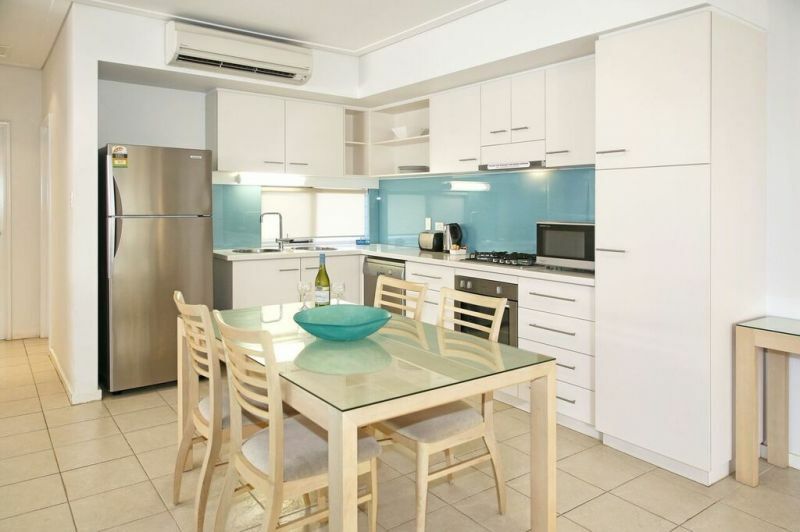 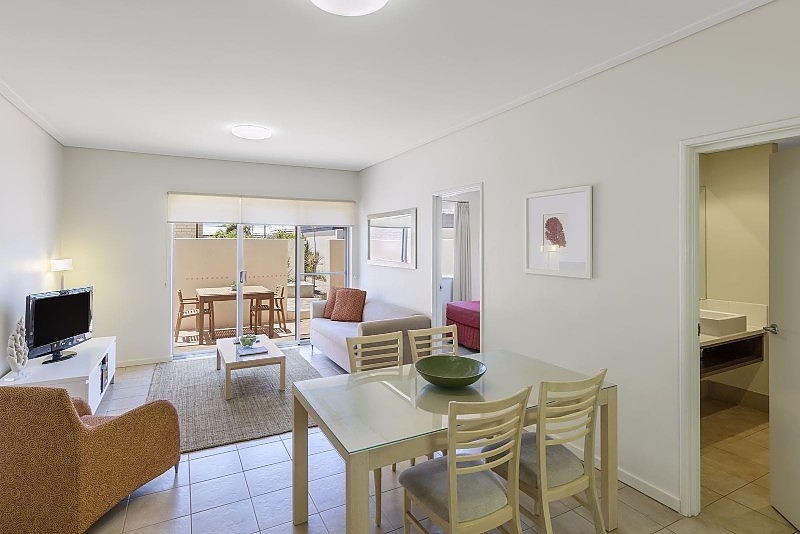 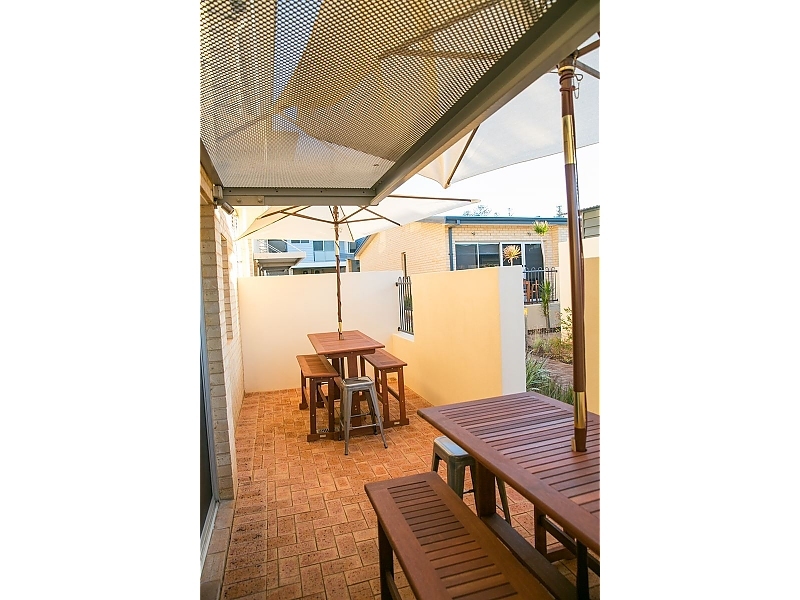 Located within a gated and secure complex, our selection of stylish, well-appointed studio, one, two and three-bedroom apartments offer the comforts of home on Western Australia's Coral Coast. 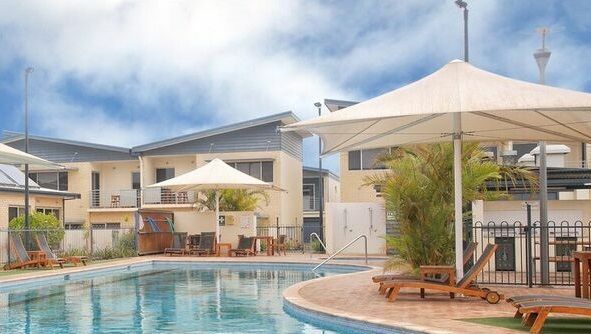 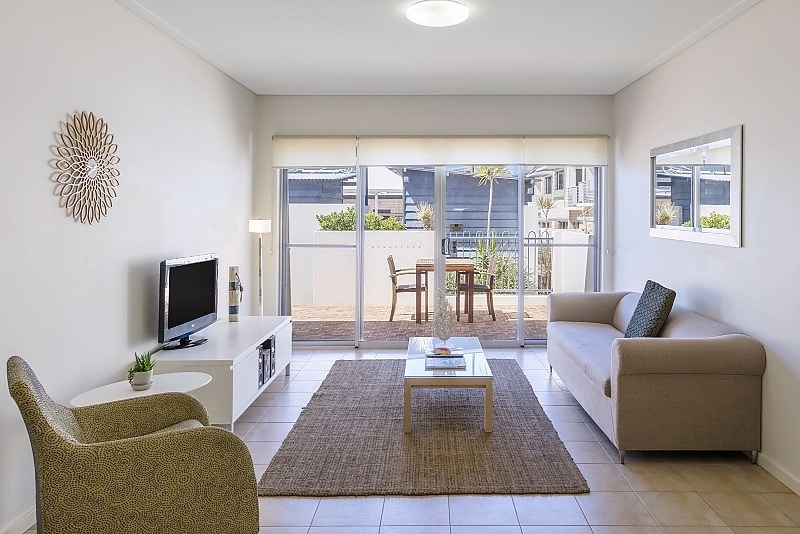 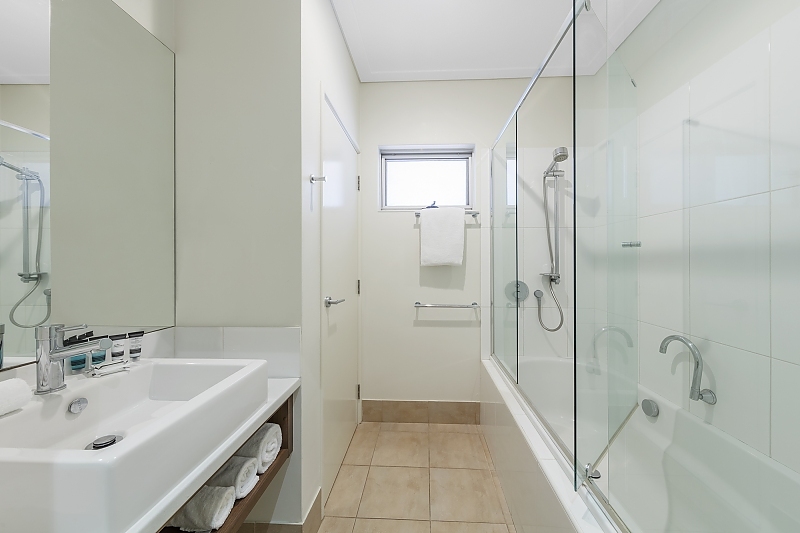 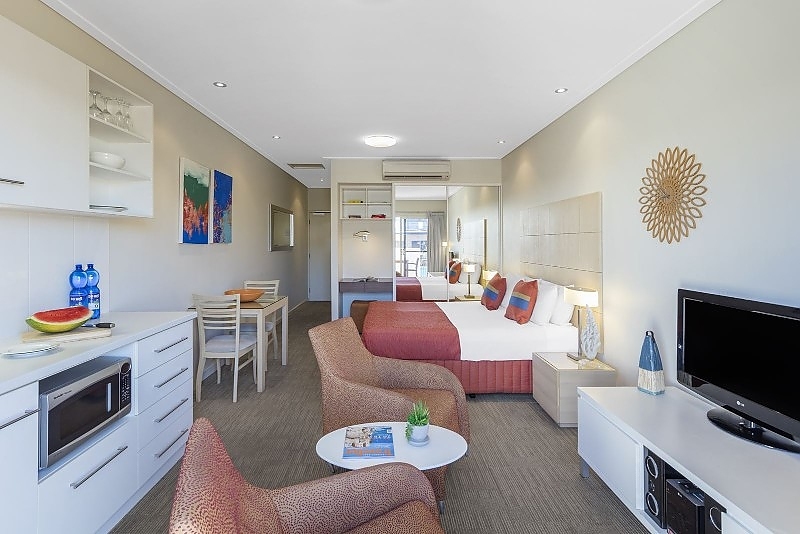 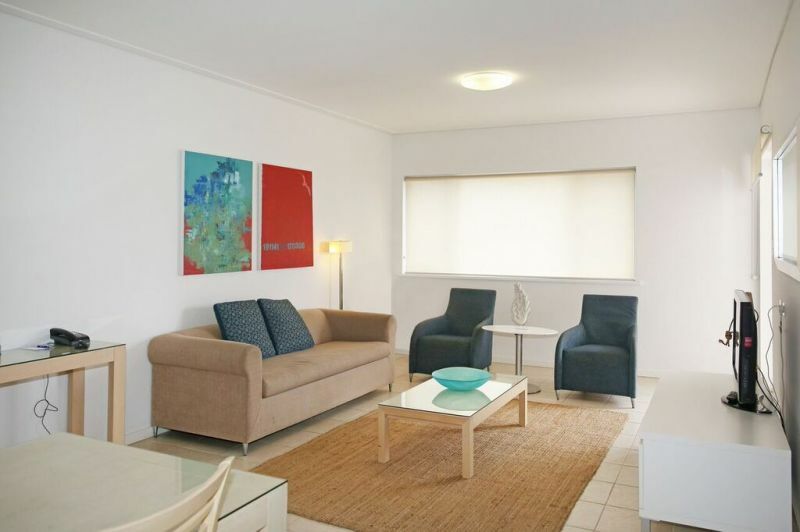 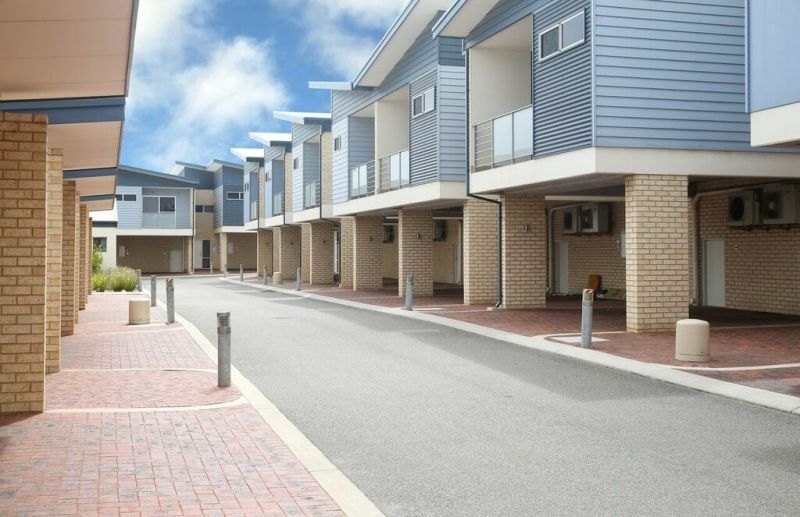 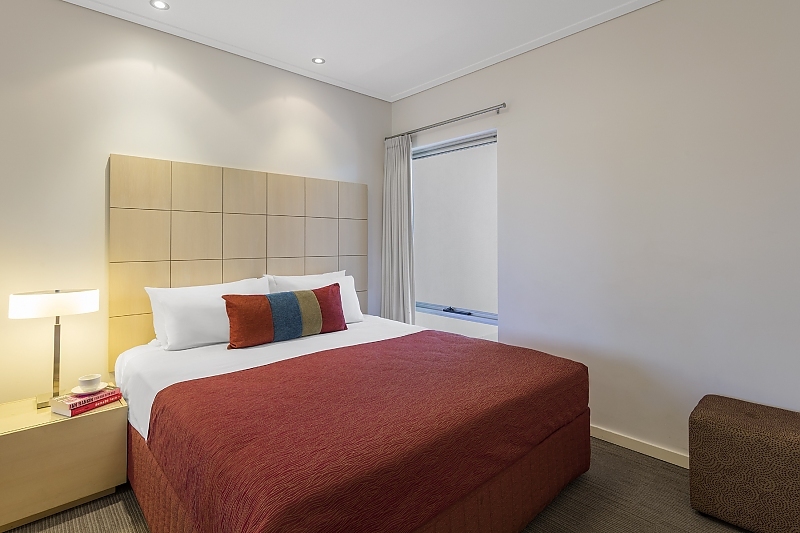 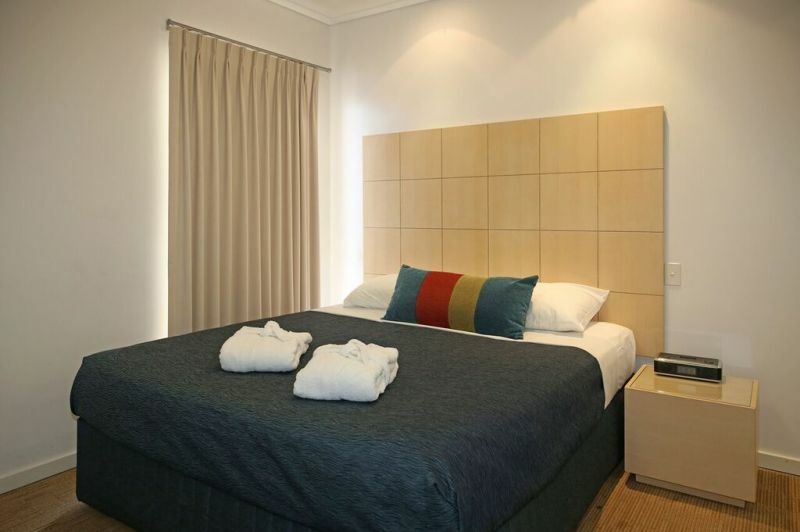 Waldorf Geraldton Serviced Apartments are only metres away from Champion Bay and the Indian Ocean and within close proximity to Geraldton's town centre and marina. 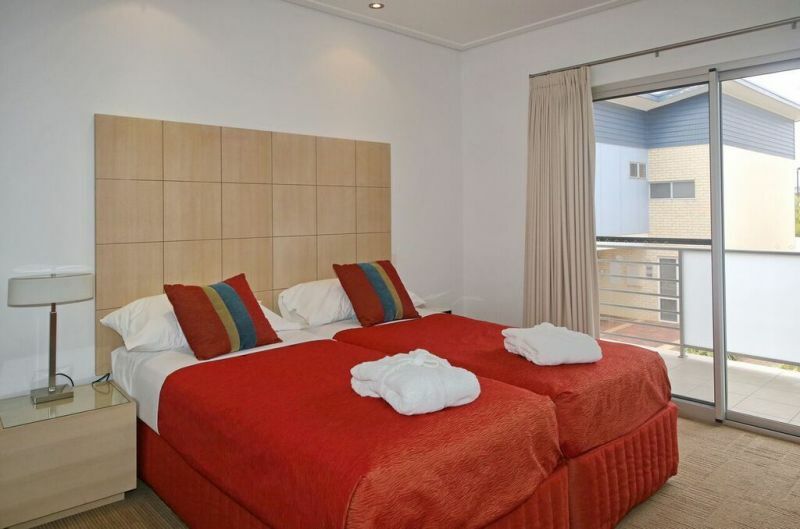 It comprises of furnished studio, one, two and three-bedroom apartments ideal for short or long stays.